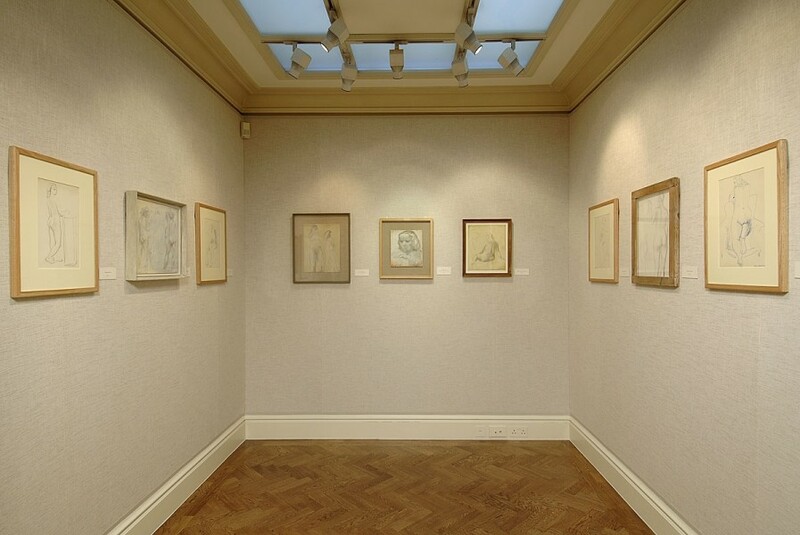 A major loan exhibition of oils, watercolours and drawings by Barbara Hepworth (1903-1975), one of the leading figures in 20th century British art, was held at Hazlitt Holland-Hibbert from 12 October - 18 November. 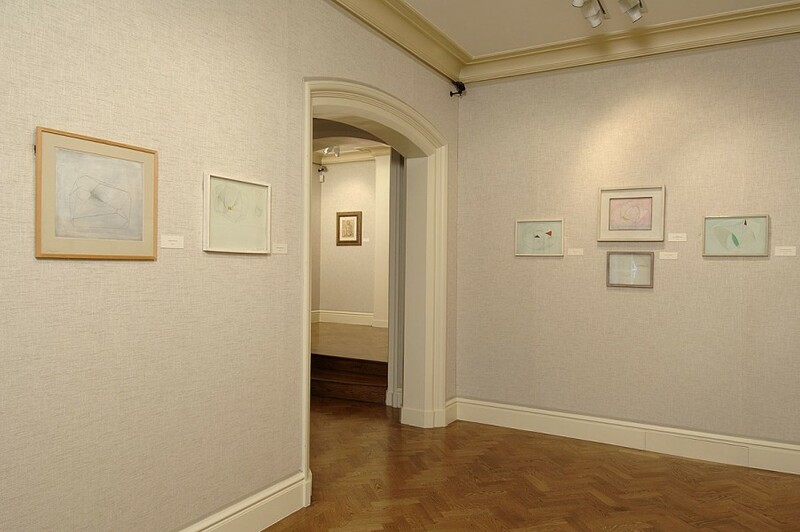 This was the first exhibition devoted entirely to the artist's painting and drawing for over 50 years. 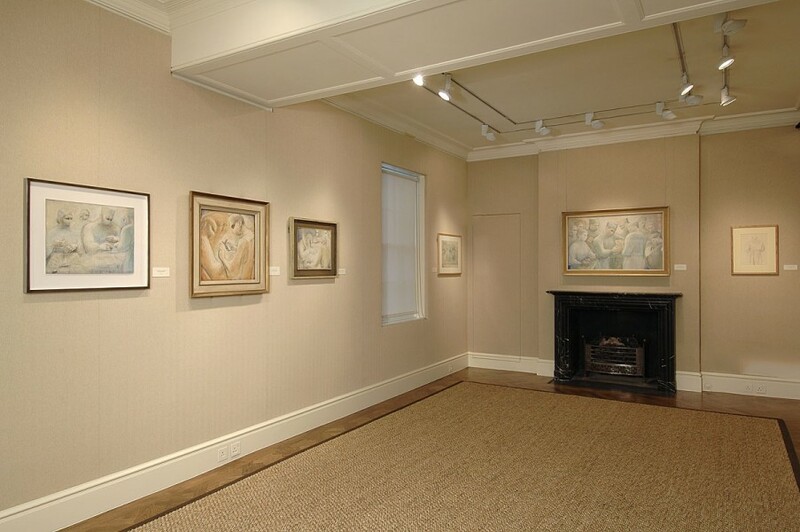 All the works were on loan from private or public collections, including Hepworth's Self Portrait from the National Portrait Gallery and a group of examples from the Hepworth Estate. Many were exhibited publicly for the first time. 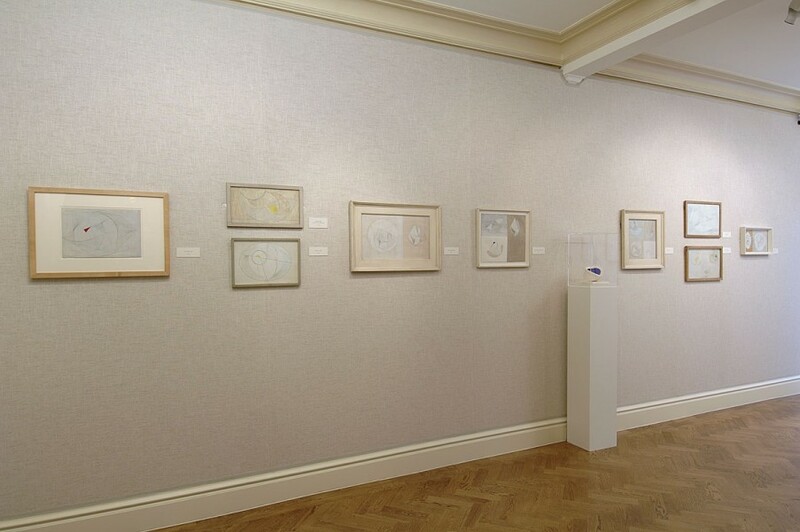 Curated by the artist's grand-daughter, Sophie Bowness, the works in the exhibition all dated from the 1940s and brought together the full range and breadth of Hepworth's draughtsmanship. 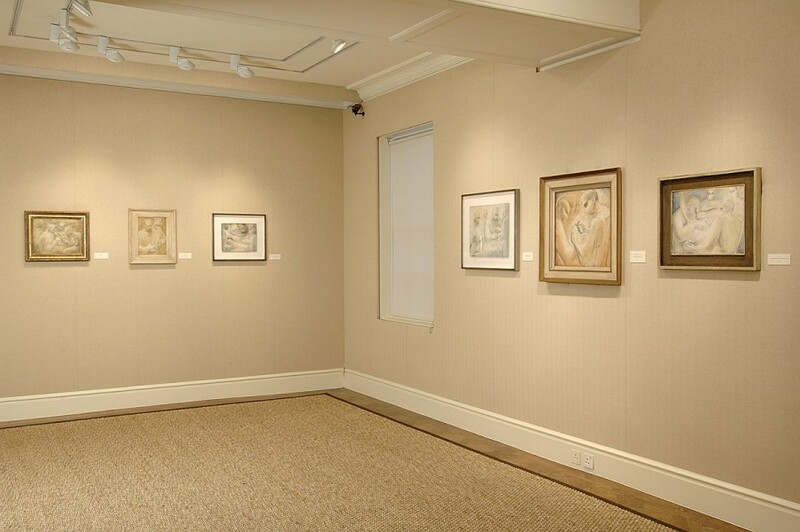 The exhibition was divided into three separate themes - abstract studies, figure drawings and the hospital operations series. 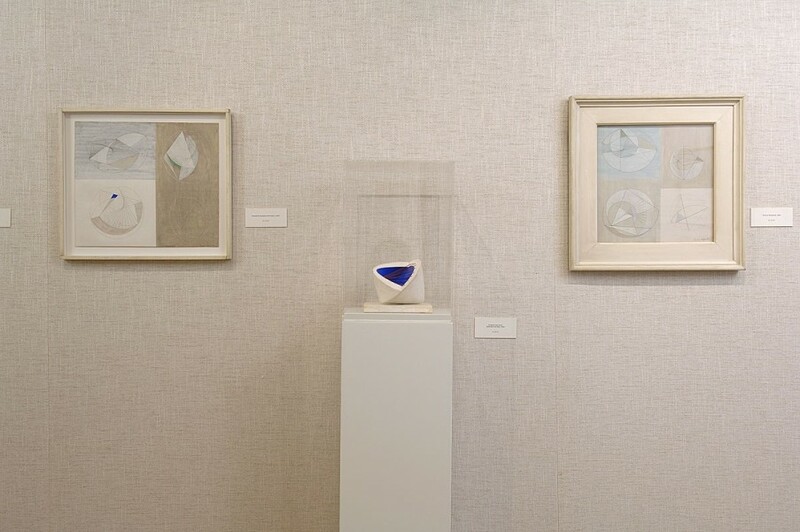 Best known as a sculptress, Hepworth produced a series of oils and drawings that reveal an intuitive and sympathetic feel for a medium that the artist is not so often associated with. Their importance lies in the context in which they were produced and the way in which a sculptor uses drawing and painting as a means of generating sculptural ideas. 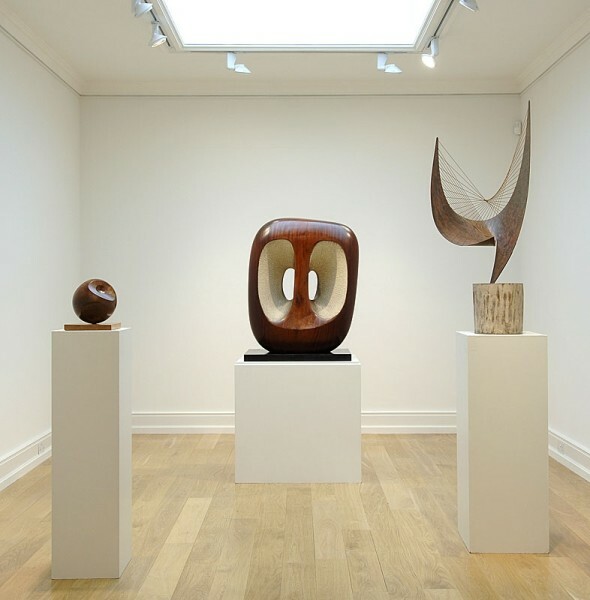 The abstract studies, for example, reveal Hepworth's exploration of ideas about space and rhythm, usually associated with constructivism, that became important not only to her carving after the war but also to the whole language of sculpture. Perhaps the most remarkable series of drawings in the exhibition were the figure studies and, in particular, surgeons at work in the Exeter Orthopaedic Hospital which reveal what the artist herself described as an 'extraordinary beauty of purpose and co-ordination between human beings all dedicated to the saving of human life'. Two exceptional works from this series were loaned by The Royal Albert Memorial Museum in Exeter as well as the only large scale oil, never exhibited publicly before, which was loaned from the Collection of the Royal College of Surgeons.